We do not curently have theatre tickets available for Death Takes A Holiday This could be because we have simply sold out or it could be that this show is no longer running. The information on this page remains purely for historical and informational purposes. 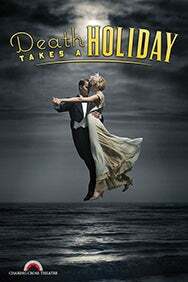 Thom Sutherland directs the UK premiere of Death Takes a Holiday, music and lyrics by Maury Yeston and book by Peter Stone and Thomas Meehan, the European premiere of the follow-up to Titanic by its Tony Award-winning composers.